Join every group board that you can. 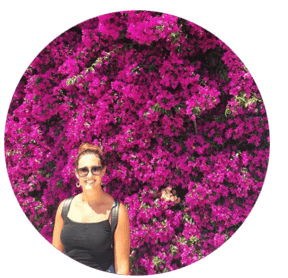 Write a keyword rich Pinterest bio. Use those keywords in your board descriptions. Truly, it felt like I was doing everything to build up my Pinterest profile, and yet, it just wasn’t going anywhere. Or, at least not anywhere that was bringing me the blog traffic that I was looking for. In fact, it got to the point where I stopped actively adding to my Tailwind queue altogether because it just didn’t seem worth my time anymore. As long as I had some of my own pins going out occasionally, it felt like that was as good as it was going to get. In October of 2018, I decided I was going to master Pinterest once and for all. I figured if there were all these people out there getting massive traffic to their blogs through Pinterest, there must have been something that I was missing. 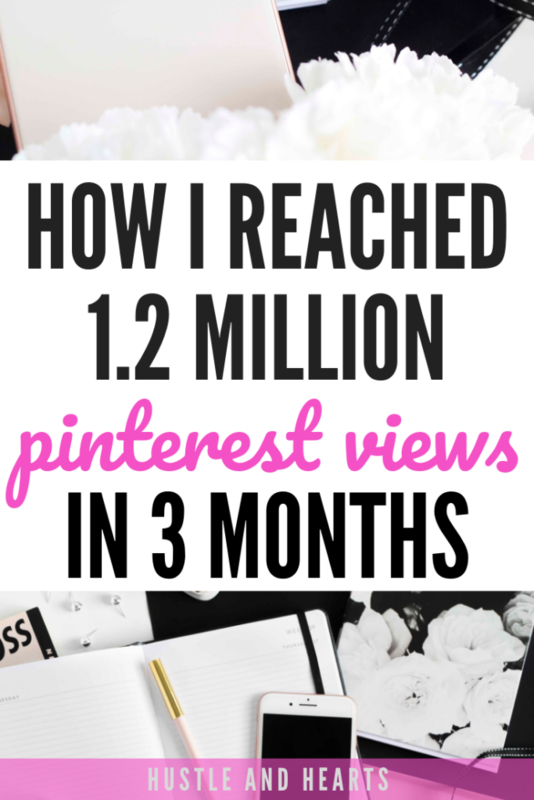 And so, today, if you’re also wondering why you’re not growing on Pinterest, I’m going to share with you some of the things that I did to get my Pinterest viewers to 1.2 million in three months! It’s hard for me to believe, too. 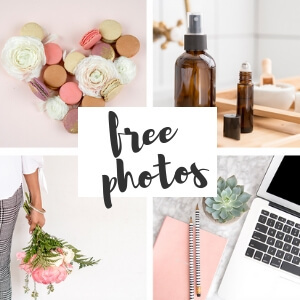 If you’re just setting up your Pinterest account, this post is probably not for you, but if you’re someone who’s looking for Pinterest growth tips beyond just purchasing Tailwind, I’ve got your back! Let’s dig in. As of today (January 2019), I’ve had my blog for almost two years. In that time, I’ve almost always had some type of Pinterest strategy going on. In fact, the majority of my blog traffic comes from Pinterest. Having said that, despite Pinterest being such a major traffic driver for me in comparison to other platforms, my blog’s pageviews were always quite low (in that 80-120 pageviews/day range). Yup, nothing to brag about. And, while this particular post isn’t focusing on blog traffic (I’ll save that for a separate post), it is important to realize my Pinterest profile has been active in some way, shape, or form for over a year. Keep in mind, though, there were long stretches of time where I had no Pinterest strategy in place, and was just letting Tailwind run in the back. I’m intentionally showing you analytics from when I started using Pinterest to right when I started implementing my current Pinterest strategy. As you can see, I was a little all over the place. The spikes where I got up to 100k came from when I was actively working on my account, and the low parts happened when I just let Tailwind run in the background (I was frequently discouraged by my lack of Pinterest growth and would give up working on it, which is why you see so much up and down action). Point being: for this time period, I consistently remained under 110K views, and averaged out to only 66k views/month. I really didn’t know what I was doing wrong. Even when I was using Tailwind and pinning consistently, I couldn’t get above 110k. Now I realize this was largely because I was just following all the generic Pinterest tips. Everyone said if I did those standard things, my account would grow, and foolishly, I believed them. Of course that’s not to say those tips aren’t valuable when you’re just starting out on Pinterest (basic Pinterest set-up is key to growth), but if I really wanted to see my Pinterest account take off, so that I could ultimately increase the traffic to my blog, I knew it was finally time to step outside the box of what everyone else was doing. Let’s see what happened once I started implementing this new Pinterest strategy. This time period shows you right before I implemented my strategy to right when I really started to see growth. Currently (January 2019), I’m at 1.7M Pinterest viewers, but we’ll just look at September to December 2018 to keep things more manageable. I’m just letting you in on the 1.7M thing so that you recognize I’m still seeing consistent growth everyday. I certainly thought so! Suddenly my Pinterest account was growing. People were actually seeing my pins! Finally, I had a Pinterest strategy that was getting me blog traffic (again, I’m going to talk about blog traffic specifically in another post; today we’re just focused on Pinterest viewers). I do not want to make this post a sales pitch for another ebook. I know how frustrating it is to be looking for answers, and then having someone just selling you something (drives me crazy). Having said that, it wouldn’t be fair of me to take full credit for my Pinterest success. Like I said earlier, everyone kept recommending the same tips for growing a Pinterest account, and none of it was working. 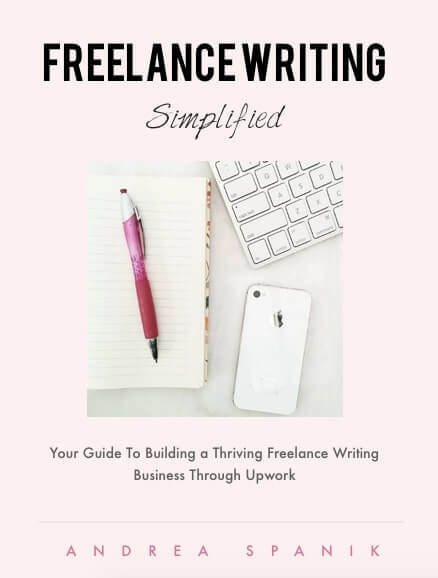 I needed tips that went beyond just the standard tips, so that’s when I decided to bite the bullet and make a blog related purchase (Note: I am very frugal when it comes to spending money on my blog, and almost never buy courses and/or ebooks). And so, on October 11th ,I decided to purchase the Genius Blogger Toolkit. I had noticed there were a lot of courses/ebooks included in the package that addressed Pinterest specifically, so I figured I might as well get multiple Pinterest resources for one low price. 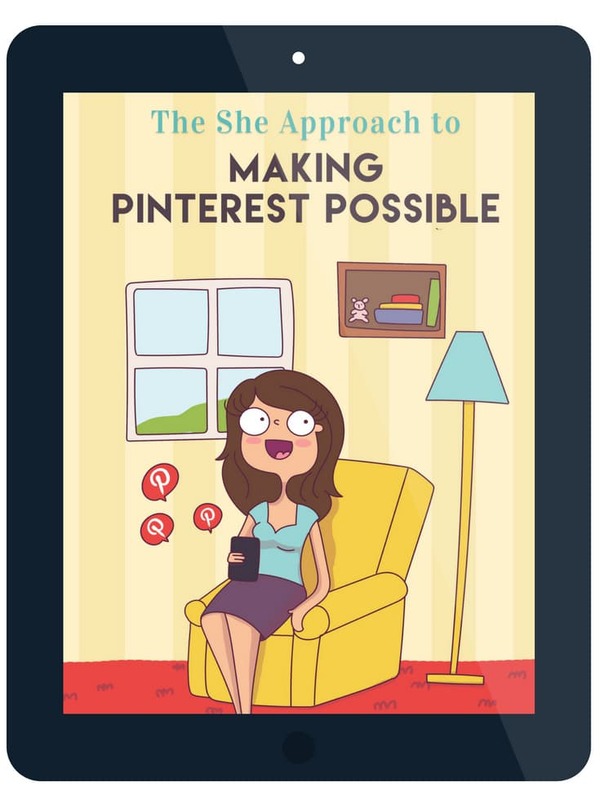 Not to mention, one of my favorite blogging experts, Ana from The She Approach, was offering her Pinterest ebook (Making Pinterest Possible) as a free gift if you used her affiliate link to purchase The Toolkit. Perfect! Another Pinterest resource for me! And guess what? Of all the Pinterest resources in the toolkit, I didn’t find any of them helpful. Seriously. What I did find helpful, though? Ana’s ebook! I seriously owe all my recent Pinterest success to Making Pinterest Possible. And, trust me, if you take a look through my blog, you’ll find that I am not usually one to gush about courses or ebooks. Making Pinterest Possible completely changed how I approached Pinterest. Sure, it had some basic Pinterest knowledge in there that I already knew (this is essential since this ebook targets both beginners and advanced pinners), but there was so much in there that I didn’t know, or hadn’t yet tried! And this is coming from someone who had been using Pinterest for over a year. Again, remember the chart from above, the upwards trend on my growth started around October 16th, and I received the ebook on October 11th. Trust me, that is absolutely not a coincidence. If you’re interested in learning more about what is included in Making Pinterest Possible and whether it’s the right resource for you, I highly recommend checking it out here. If you’re anything like me and you’re not seeing results from generic Pinterest tips, I really think you’re going to have some game-changing revelations once you dive into this book. I have to give myself a little credit when it comes to growing my Pinterest account, and most notably, getting off social media really changed everything for me. Yes, you read that correctly: I cut social media out of my blogging experience, cold turkey. Largely because I knew it wasn’t helping me at all. For me, as a freelance writer, blogging was always more of a creative outlet for writing long-form, valuable content. It wasn’t about building a distinct brand, a following, or becoming an influencer (not that there’s anything wrong with any of that). 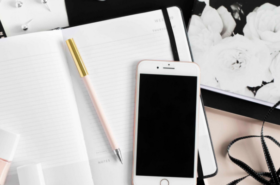 I knew if I kept spending hours scrolling through my Instagram feed and watching what everyone else was doing, I was never going to grow my blog. Plain and simple. Keep in mind, though, this might not be the solution for everyone since I’m sure there are many of you who are trying to grow followings. What I will say is this: Get real with yourself about what promotion strategies are actually directly benefitting you. If you can see people engaging with you on Instagram, and you know that’s translating into something that can help you grow in the way that you want to grow, keep doing you, girl! If you’re just trying to stay on all the social media platforms because that’s what it feels like you should do, let me let you in on a little secret: you don’t have to be on social media if you don’t want to be. 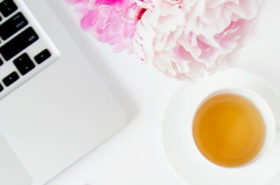 If growing your blog is your exclusive goal, really, Pinterest can be the bread and butter to your growth. It’s really just about deciding what you want from blogging, and then deciding where your time is best spent. 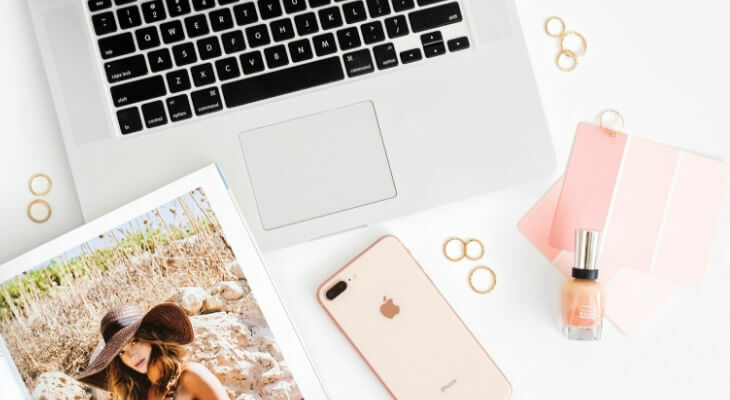 For me, focusing all my attention on Pinterest, and getting off the rest of social media made a major difference in not only my recent success on Pinterest, but also on my blog’s growth. Let me repeat that: Pinterest is an algorithm. This might seem painfully obvious, but I think it’s something that a lot of us forget. For me, even though I realistically knew Pinterest wasn’t a human who decided which pins to show in the smart feed, I found myself oftentimes thinking like that. You need to realize that Pinterest is not a human, and it needs all the help that it can get when it comes to exposing your pins to the right audience. You can’t just pin a pin once, and then expect Pinterest to circulate that pin for you. You need to tell Pinterest what that pin is about. There are two primary ways you can do this: (1) by writing a keyword rich description, and (2) pinning your pin to relevant (well key-worded) boards. Also, remember that because Pinterest is an algorithm, you have to remain consistent with your pinning. It needs to know that you’re dedicated to consistently adding high quality content to your Pinterest profile. If you’re simply pinning once or twice a week, Pinterest is not going to reward you. Your pins will likely remain in the background. And, while I promised this would not be a Tailwind sales pitch, I do just want to quickly mention the value of having a Pinterest scheduler like Tailwind set up. It really helps when you don’t have the time to manually pin everyday. Plus, you get your first month free, so you can determine if it’s right for you without having to spend any money. Learn more about Tailwind here. But yes, bottom line: treat Pinterest like an algorithm that knows nothing about you, your audience, or your content. Use every opportunity that you can to inform Pinterest about what you do, so that you can increase your chances of having your pins show up to the right audience. And remember: Pinterest is an algorithm, so make all of this as painfully obvious as possible. In that same vein, if you’re trying to figure out what Pinterest likes and dislikes, be sure you’re paying attention to your analytics. See when you have spikes and when you have dips in Pinterest viewers. Did you do something differently that would cause a change? In addition, keep your eyes on your notifications to see what group boards are doing well for you. This will help you in determining where to focus your pins. It might seem like you should be pinning your pins to every group board that you can, but if you’re pinning to low quality boards, this actually might be hurting you. (I can’t confirm this, but I’ve noticed since I’ve been a bit more picky about what boards I repin to, my pins seem to be spreading further). Trust me, I get it: it’s easy enough to let Tailwind do all the work for you, but there’s something really valuable about exploring Pinterest for yourself and seeing what is working and what isn’t. When you keep your eyes on your analytics/notifications, you start to notice things that you might otherwise skip over if you’re relying on a scheduler to do all the work for you. For example, I started experimenting with a couple new Pinterest strategies on Monday of this week. When I look at my analytics from Monday, I see a big spike on my Pinterest profile. Clearly I pinned something that day that Pinterest rewarded me for. And, because I paid attention to my analytics, I can know for certain that my effort from Monday paid off. Don’t discredit the value of paying attention to what is going on in the actual Pinterest app. Trust me, you’ll start to notice things that will help you grow. And lastly, since we’re talking about Pinterest viewers, it’s important to realize that to grow your Pinterest account, you need to pin popular content. Pinning popular content is what will really help your Pinterest viewers go up. Because once you start pinning popular content, Pinterest starts to recognize your account as one worth showing in the home feed. If you’re just pinning anything and everything, Pinterest isn’t going to see you as a high value account. Now, for some of you, if you have a very defined niche, it might be more difficult to pin specifically based on what is popular; however, always try to pin the best pins within your niche. 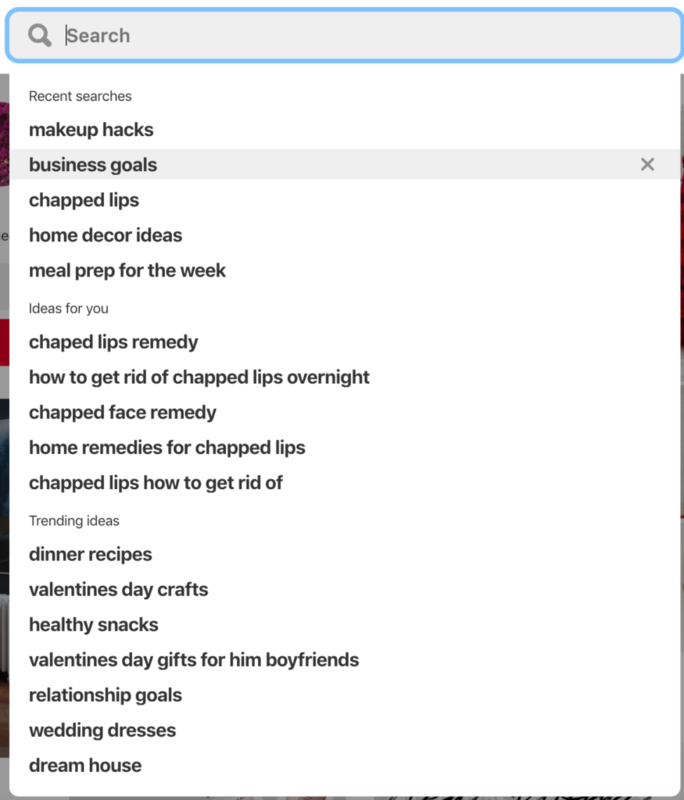 For example, if your niche is in health and wellness, find the top pins in that category by searching for topics within that category. So maybe you have a board about yoga. Type into Pinterest “yoga.” Those pins that come up first are the pins that Pinterest has deemed the highest quality yoga pins. You want to add those pins to your own yoga board to help Pinterest recognize you as a high quality pinner. So, right now, if any of those trending topics are relevant to your blog content, click on one, and pin some pins to your relevant boards. I highly recommend pinning popular content; however, don’t pin popular content if it’s not relevant to your content. For example, if you see that “vegan recipes” are trending, but you have no interest in creating any content surrounding that topic, don’t pin it. There’s no point. When you do, Pinterest might reward you by showing those vegan recipe pins to your audience, but if there are no pins on that board that lead directly to your blog, you’re not helping with your blog growth. Pin popular content to the boards that you want Pinterest to expose your audience to. Pinterest viewers don’t mean anything if you’re not getting blog traffic. I mean, unless you’re trying to grow a Pinterest profile for the fun of it, Pinterest viewers aren’t everything. Pinterest viewers are simply a means to tell you that you’re on the right track when it comes to pinning high-quality content. What is more important, though, is ensuring that your pins are being both seen and clicked on by the right audience. You want blog traffic, right? Of course! I mean, sure, blog traffic might not be everything when you’re trying to grow your blog, but it sure does help. Stay tuned to next week’s post where I talk specifically about how I increased my blog traffic with my new Pinterest strategy. 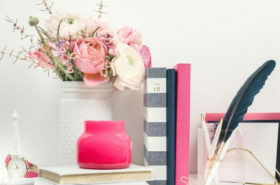 And remember, if you really want all the juicy details that can help you grow your Pinterest account like I did, be sure to check out Ana’s ebook, Making Pinterest Possible. It truly did change everything for me.